The ancient Greek temple of Apollo at Delphi bore the inscription Meden Agan ‘Nothing in excess’. Put another way, this means ‘Everything in moderation’. This concept definitely applies to alcohol consumption, where a number of studies show that routine, moderate drinking of alcohol can reduce the risk of stroke and help maintain heart health. However, excessive drinking brings the promise of liver disease, memory loss, a higher risk of cancer, and early mortality. So what is drinking in moderation? Simply put, this means 1 (one) drink per day, typically with the evening meal. Moderate amounts of alcohol raise levels of high-density lipoprotein (HDL, or “good” cholesterol), and higher HDL levels are associated with greater protection against heart disease. There is also a strong correlation between good cardiovascular health and good brain health. 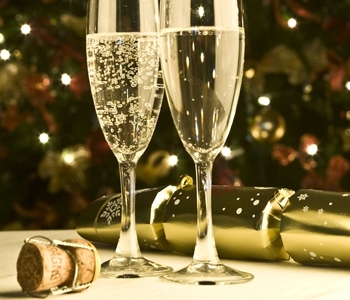 So relax with your one glass of wine with dinner, and toast in the New Year with a small glass of champagne. After that, get a good night’s rest, and start January 1, 2016 with a healthy meal and physical exercise – all important for cognitive health. Want to learn more? Try the Healthy Brain Test and receive your free customized report.